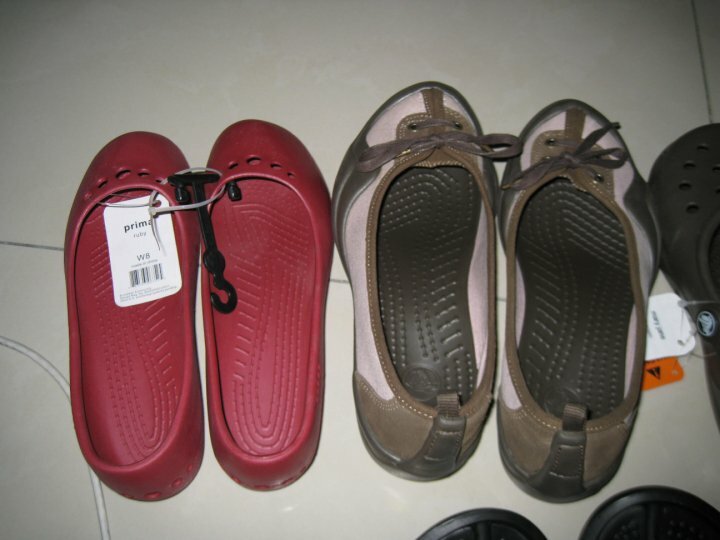 Plus Size Kitten: Crocs Warehouse Sales! 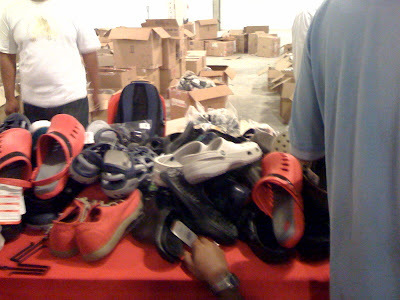 I hauled back 10 pairs of Crocs! 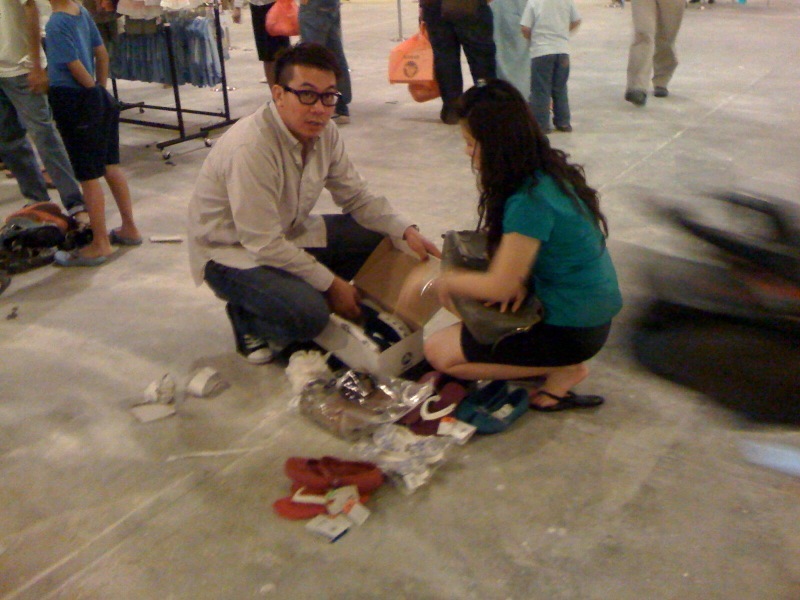 I followed Candy to the Crocs Warehouse Sales @ Digi Subscribers Preview yesterday at Level 2 Ikano Power Centre (empty hall near the IT centre). The discount is up to 70% (for most old seasons) and an additional 5% more if you're a Digi Subscriber. 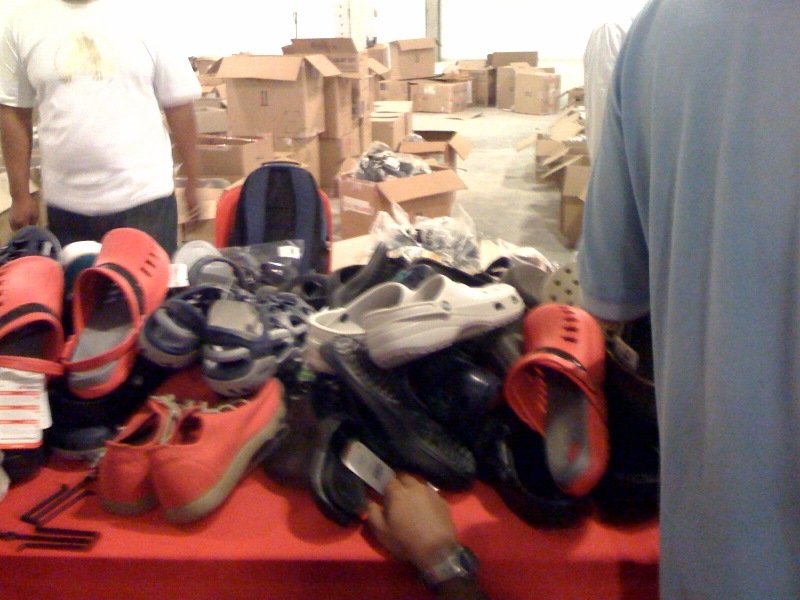 Granted yesterday was the best time to haul back some crocs because of the extra 5% discount for Digi subscribers. Newer designs were about RM90 each while the cheapest was RM40 (majority old season sandals/crocs). 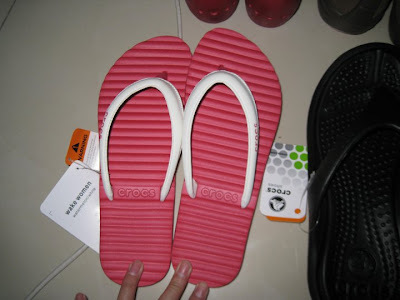 Jibbitz were going for RM10 (the buttons for crocs hole decoration?) but mostly star wars and hello kitty ones were gone. I manage to buy one packet rm10! (inside 4 hello kitty buttons). SORRY!!! I only knew about it yesterday when I follow Candy to the sales and I couldn't get hold of a computer as I was attending events at Pavilion from morning till evening. Since it's been advertised only starting on today, I dare not give out any info in fear of misleading readers about this sale. 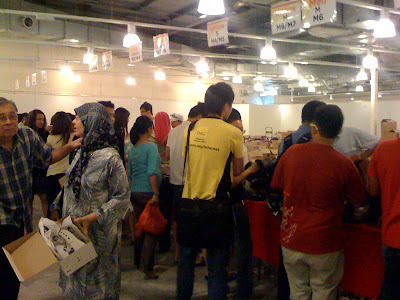 Prices starts from RM40-RM90 (or more) the Digi 5% discount was only for yesterday's Digi customer's preview sale. I heard there's a long waiting Q to get in today and lotsa people around. The UOB Credit Card sharks are there too, say NO if you're not interested and just go off. Colors are limited and there's crocs for women, men and children. 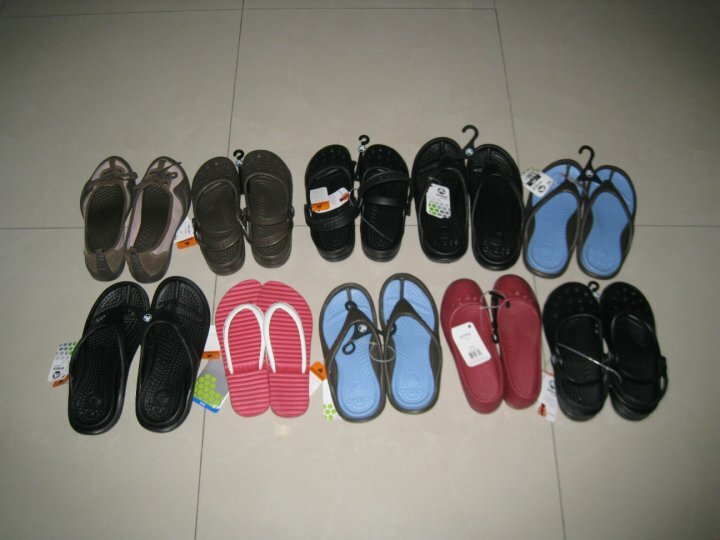 There's a variety of sizes but mostly size 7 out of stock (one of my reader says). Today I heard they're restocking. 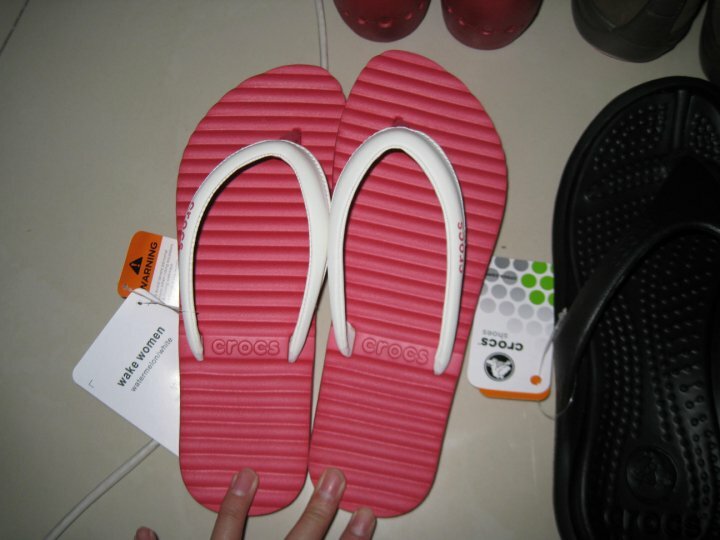 All I can say is I am quite happy to have paid RM38 for a pair of crocs. 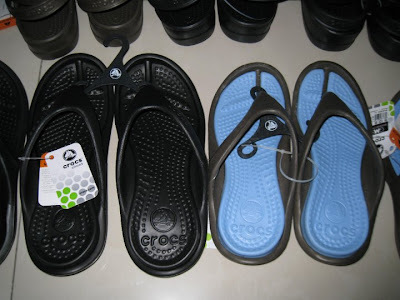 Even without the 5% discount I would still pay RM40 for a crocs! they're long lasting and easy to clean and care. While some are ugly looking or weird, there's normal looking ones to choose from which may be cute as well! 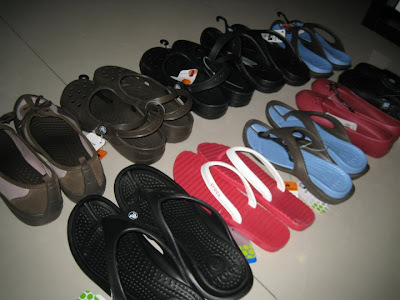 Anyway Crocs are expensive! 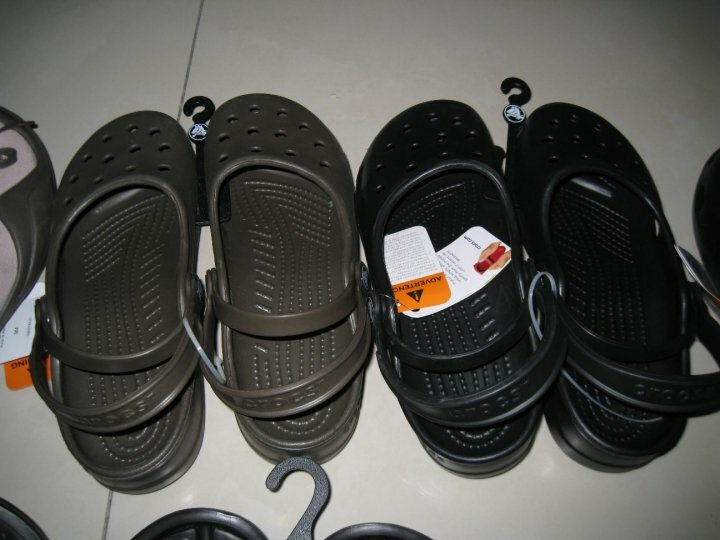 and since there's a sale, I bought my family Crocs to wear! 10 pairs for RM399 (10 pairs normally would cost u rm1.3k over!). P.S: There's Babies products there too (hampers/clothes) and for every purchase in a single receipt from this warehouse sales, you're given a rm20 voucher (only usable at Crocs Shop outlet not at this warehouse sales from what I have been asking). haha it is.. look at me.. wooowowoowowow uncontrolable! there's worst! ppl are using boxes to store their crocs as shopping bagsss..
wow..super worth..pasar mlm oredi cost rm15-rm25 for immitation..ori only rm38..
couldn't get hold of a computer? What happened to the online via BlackBerry 24/7....? Gave away my blackberry for a laptop to blog!